Conflict: fight, flee, or flow? Conflict emerges from diversity. Being different means we will each have a unique perspective. So as a framework for viewing human behaviour, TetraMap embraces, supports, and promotes diversity. 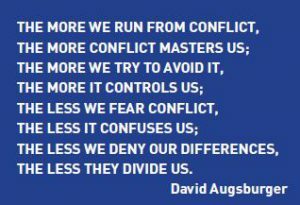 It is, therefore, logical that this framework must also accept that by having differences, conflict also has a place in our interactions. Here is where the challenge lies. Seeing conflict as normal and necessary goes against our good intentions to get on with each other. This Whitepaper discusses what conflict is and how it works. It explores ways of approaching hard conversations and is illustrated with a case study. Embracing diversity unleashes potential – your own and others. Readers will gain a deeper understanding of how difference and uniqueness contribute to conflict and to its resolution. By knowing yourself and others better you can quickly drive conversations into actions while developing and enhancing relationships that are sustainable, enduring and productive. Since the end of World War 2, every generation has adopted ‘Peace’ as its catch-cry. But we’ve also come to understand that real peace only comes after a conflict has been addressed and resolved. Not by compromise, or by a win-lose scenario, but by a conscious process of working through differences and reaching a shared understanding. That process, in fact, takes us from the first two ‘N’ words – normal and necessary – to the third, nearness. Only when we take the time to explore our differences and find shared solutions to the issues between us is any sort of peace possible. And it’s that process that creates rich and meaningful relationships between the parties involved – a closeness that couldn’t be achieved until we have gone on that journey together. Conflict, as a word, conjures up visions of nastiness – hurt feelings, physical bruises, incapacitating injuries, and even death. (No wonder it has a bad press!) We want to put the conflict in a box, behind bars and keep it locked up forever. To move on to a more productive space where we can build effective bridges between our differences needs some focused thought. Ever thought that conflict should be actively encouraged and sought out? Then think about what happens when we see someone doing something that is morally wrong, realise a direct report is not doing what they’re supposed to be doing, or accept a product or service that is not as it was said it should be. If we don’t make a stand, push back, and draw a line we are in fact condoning that act. And if we do object, we are immediately in conflict with another party. If we can work constructively in that space then issues would get sorted when they are small and manageable. Putting out small fires seems possible; facing a raging inferno is beyond our capability. 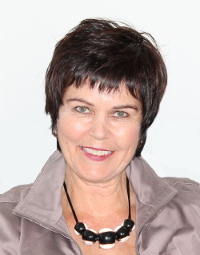 Robyn is known for helping people and organisations build effective connections through top-notch communication. 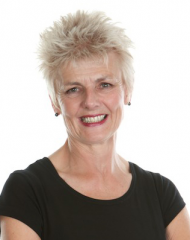 Robyn works to link behaviour, communication and learning strategies so that people connect effectively and their business and teams grow and succeed. 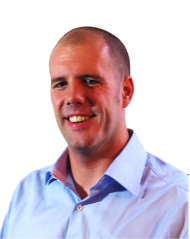 Jan has over 20 years’ experience in improving the performance of people. Her passions are people management and communication skills, and she specialises in human resource management, leadership, and interpersonal skills. Rigel is a TetraMap facilitator and Director of Conflict is Good. Rigel’s experience in this area comes from a decade with NZ Police, post-grad studies in Conflict Resolution, and accreditation as a mediator (LEADR).